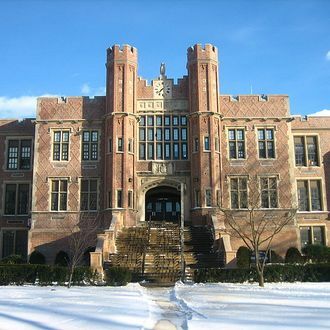 What probably started out as a good old senior-class prank went sideways on Thursday, when more than 60 students from Teaneck High School in New Jersey were arrested for breaking into the school and engaging in shenanigans that ranged from gross (peeing in the hallways), annoying (flipping over desks), and uninspired (Vaseline on doorknobs). The pranksters set off the burglar alarm, which brought 17 surrounding police departments to the school to round everyone up. Twenty-four students were charged with burglary and criminal mischief, failing to get the cops or the judge to buy their “but it happens every year!” defense. The remaining 38 are technically still juveniles, and were released to deal with the wrath of their parents. (The school district is also contemplating disciplinary action.) But the real victims in all of this are the custodians, who were probably sweeping up Silly String all morning.